NASA PR — Two NASA California centers have been selected to develop new space-aged technologies that could be game-changers in the way we look at planets from above and how we safely transport robots or humans through space and bring them safely back to Earth. 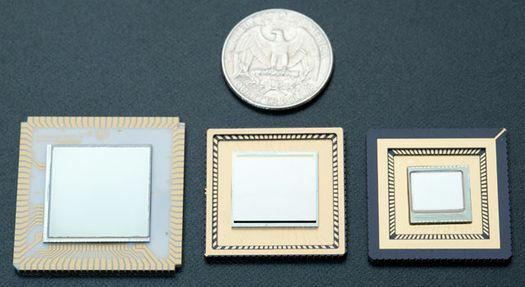 NASA’s Jet Propulsion Laboratory in Pasadena, Calif., will use advanced compound semiconductor materials to develop new technologies for the High Operating Temperature Infrared Sensor Demonstration. NASA’s Ames Research Center at Moffett Field, Calif., is developing the Woven Thermal Protection System to radically change the way heat shields protect spacecraft during re-entry.